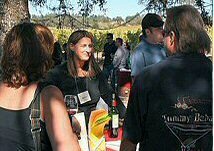 Northern California has a wine event going on nearly every weekend. Check out the list of web sites listed to the right for the lastest events. Transform any convention, corporate event, conference, or trade show into an experience to remember by pairing a customized wine seminar or tasting with your next corporate event. From sales incentive programs to client appreciation dinners to large-scale conventions, my fast-paced, interactive and engaging programs are a fun and unique way to enhance your event. If you are a corporate event/meeting planner, or have simply been tasked with the job of planning an important corporate or office function, I offer a number of programs that can be customized to fit your business need. or call (209) 369-2020 to discuss your particular event. Other Services: Tours, Seminars, Classes are also available. wine and have fun doing it! Classes for the novice, pro or enthusiast. best value for your situation. 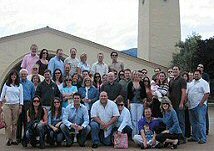 wineries can set your event apart. Consider adding a lunch or dinner, maybe with a winemaker! Length of tour: Minimum 5 hours. Normal time is 8 hours. Or do an overnight! customized tour, certified wine educator/tour guide, and wine for on-board wine tasting (optional). Pastries/cookies, juice, bottled water and sodas are provided at no additional charge. Gourmet lunch is a negotiated charge. Dinner that evening is optional and is a negotiated charge. 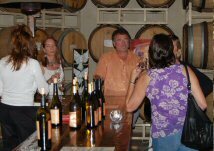 Attendees may also purchase wine at the wineries.